Here’s a real treat. The National Library of Scotland’s Map Department, supported by David Rumsey, have taken some very high-resolution scans of the Ordnance Survey 1:1056 (that’s 60 inches to the mile!) set of 500+ maps of London issued between 1893 and 1896 and, crucially, reorientated and stitched them together, so that they can be presented seamlessly (using OpenLayers) on top of a “standard” Google web map or OpenStreetMap, with the base map acting as a modern context. The detail in these maps is breathtaking. In the above extract (direct link) of the eastern end of Fleet Street, you can see each individual alleyway. 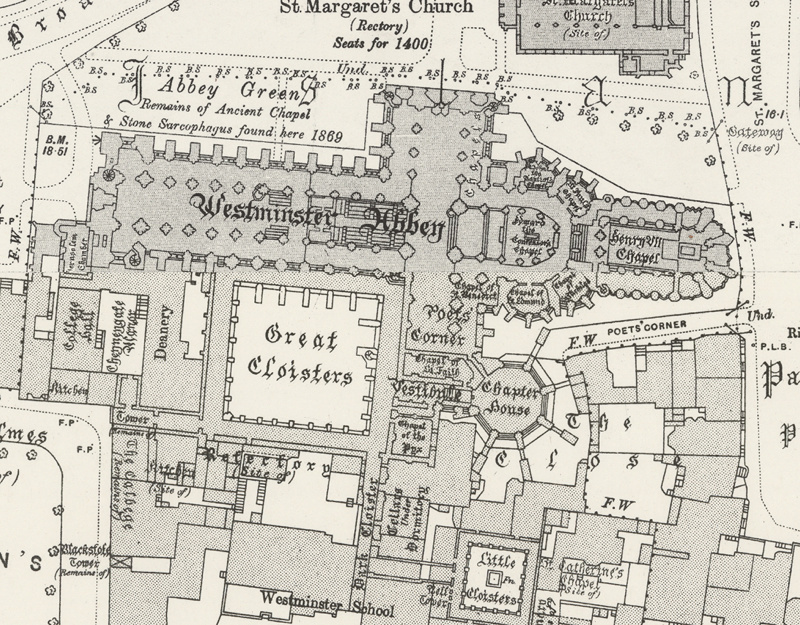 Much of London has of course changed in the intervening 120 years. 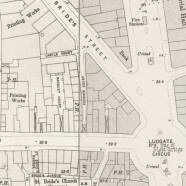 In the extract, the printing works have been replaced with banks and other offices, the pub and several of the alleyways (“courts” here) themselves have disappeared, as has the tiny fire station, and the urinals are long derelict and locked shut. 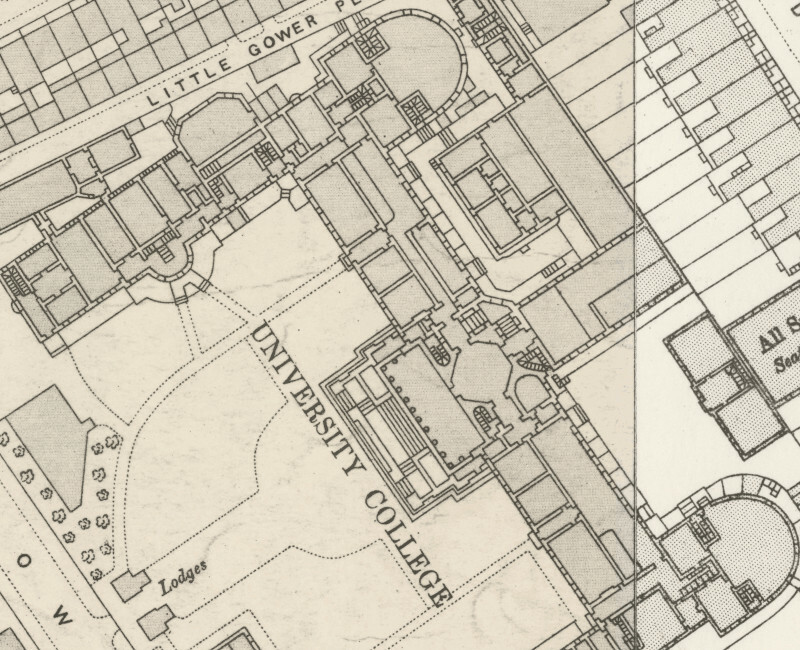 Interesting to note from the map above that the alley that is now known as Gower Court used to be called Little Gower Place. 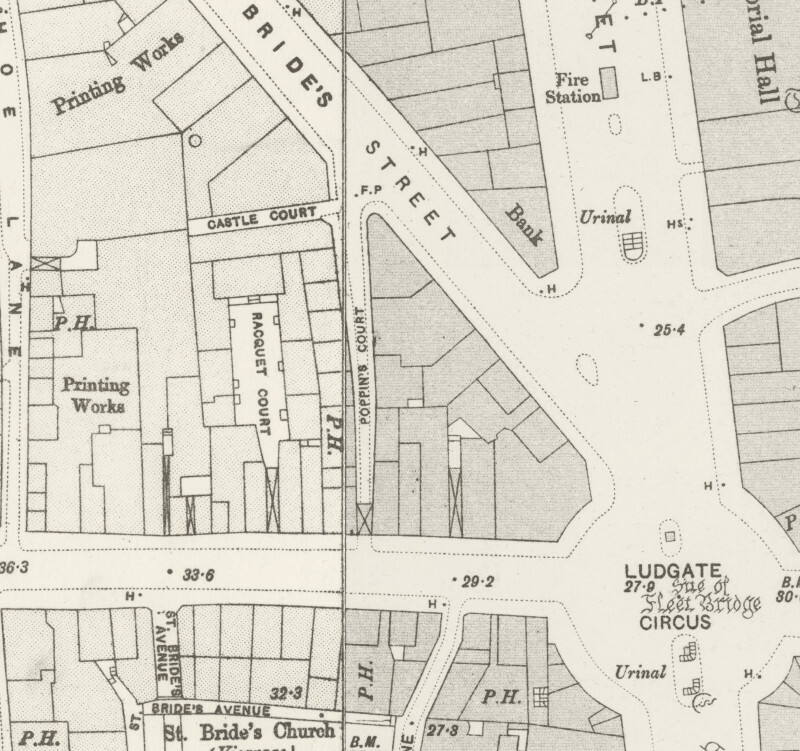 The maps are available at this resolution for the whole of Victorian London. 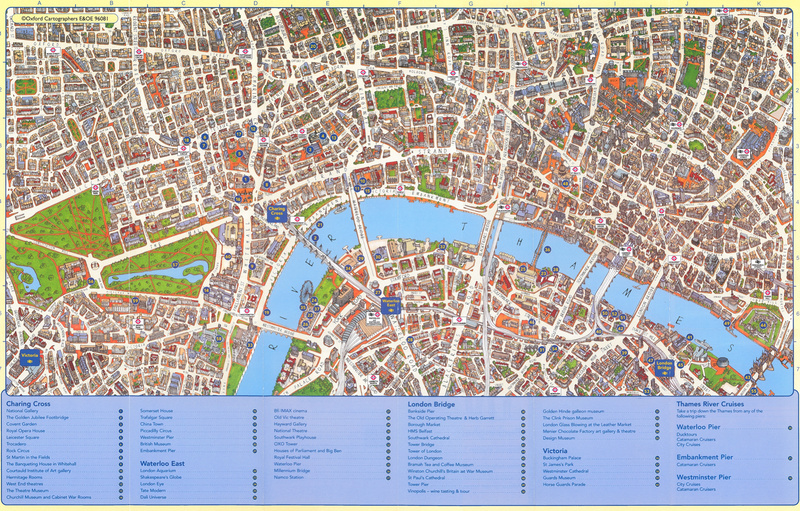 The detail is, in some cases, on a par or occasionally even more detailed than the modern gold standard, Ordnance Survey MasterMap. In some places, individual trees are shown. View the map interactively here. If you like these kinds of highly detailed old maps of London, you might like this old/new map of the Barbican, with the new buildings superimposed on a pre-WWII map. Thanks to Go-Geo!, specifically their Twitter account, for tweeting this. The high-quality scans of the maps are Copyright National Library of Scotland, even though the source material itself is out of copyright. The coverage map includes data from Ordnance Survey Open Data which retains its Crown Copyright. 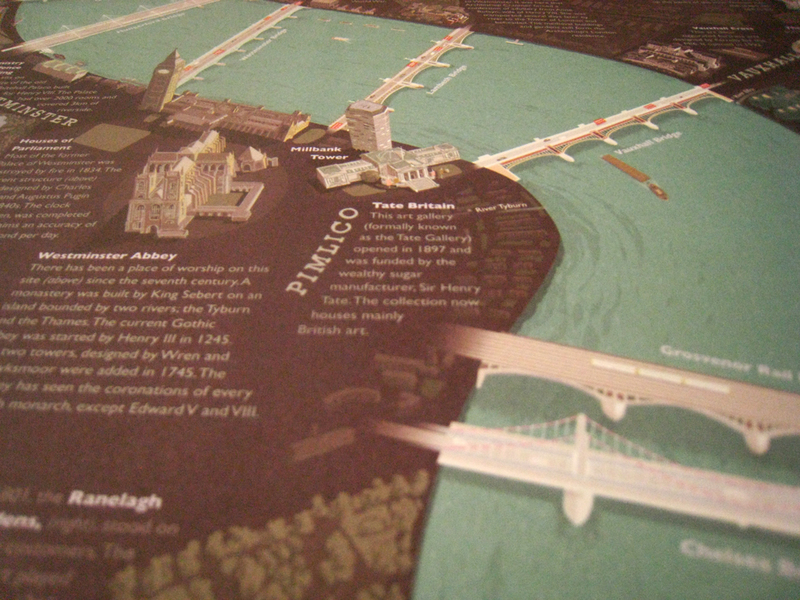 This post has been updated to repoint links to the correct version of the high resolution maps. this is absolutely wonderful! I had these maps plus books on ‘under London’ but lost everything due to wreckless partner… this really made me homesick for the Smoke! Well done! Let me know of anything else you do! Definitely a fun thing to browse though. 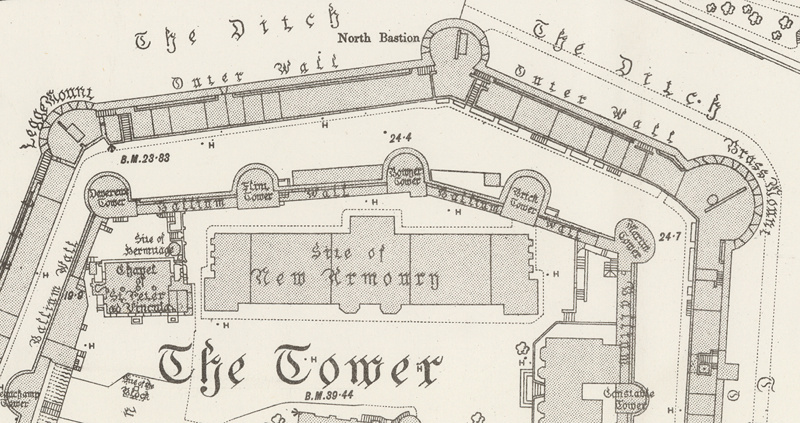 As ever I am pondering how we can get more mega-detailed buildings like this mapped in OpenStreetMap. What an incredible service! Thanks for bringing it to my attention. By Jove, a low-flying steam-propelled airship’s view of London! 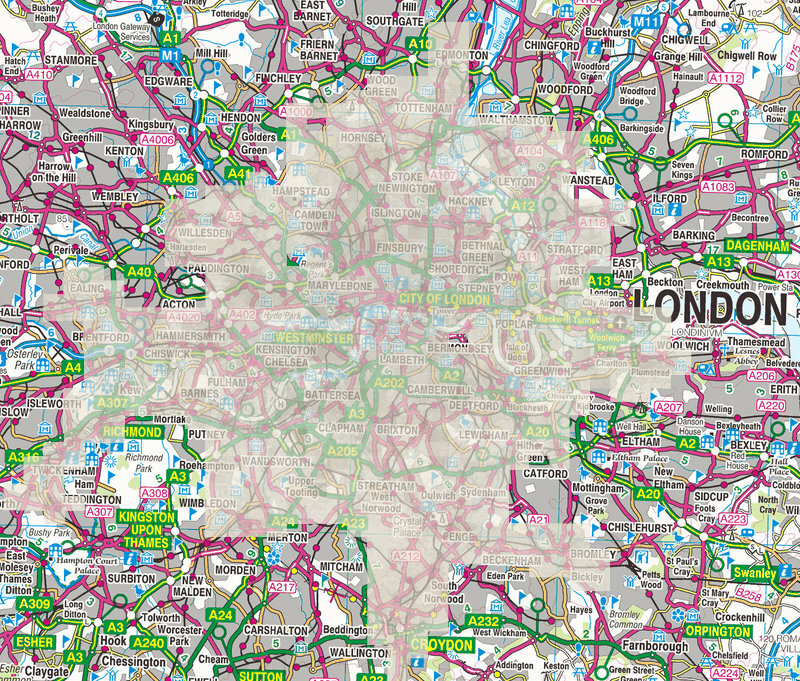 One assumes these maps would be useful to one writing a London-based steampunk novel. How do we access these maps? Do you mean physically? You’d probably have to visit the NLS in Edinburgh for that. If online, then just follow the direct links in the text above. Can you really gain copyright merely for *scanning* something? I don’t think that would stand up in court. Copyright is designed to protect creative works, which scanning definitely isn’t (unlike translating for example). The sheet I’m interested in – VII 98 – is missing from the NLS collection. Is it accessible anywhere else? How do I buy this map? How fricking hard do you want to make things? 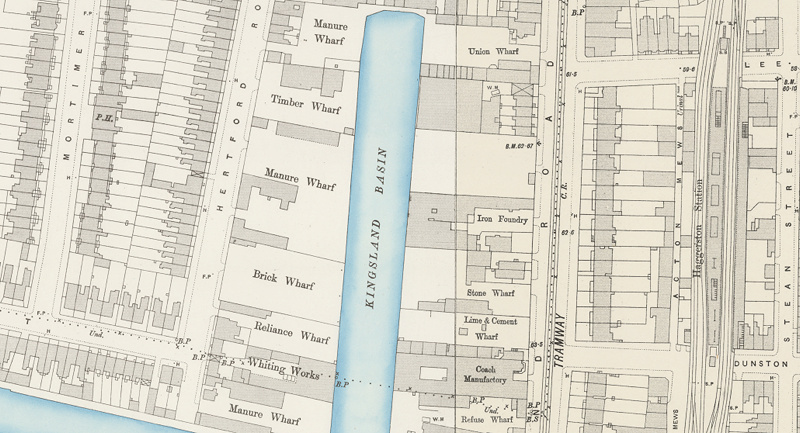 Not only has the National Library of Scotland scanned these maps, but also virtually all one-inch, six-inch and 25-inch maps of the whole of the UK, as well as large scale town plans and others — and all available absolutely free to view on their website. They are also very helpful if you visit them in Edinburgh. This is a great resource for researchers. How come the British Library, with its much greater resources, hasn’t done this? Presumably it doesn’t fit with their elitist charge-for-everything ethos? I think it’s more to do with the NLS having the right individual in the right place with the right flexibility – someone dedicated and enthusiastic, who started the project for Scotland, then realised it made sense to expanding it right across Great Britain, once the coding/idea for Scotland was developed, relatively easily. Great ideas like this often grow organically. It just so happens to have come from the NLS rather than any one of a number of other institutions.